The Jomon presence is very much alive in Gifu-ken: artifacts in museums, traces of their settlements, megaliths they shaped for mysterious reasons and in unknown ways. The modern inhabitants live simply, close to the ways of nature, eating fresh fish from pristine streams and picking wild mountain herbs. They enjoy the hot mineral onsen. An enchanting land like a hidden valley separated from the modern world in space and time. This mystical land was known as Hida no Kuni 飛騨国. The kanji characters say land of the flying gray horse. Now, granted there may be a legend about a local hero on a speedy gray horse. However, couldn’t the words simply mean Hi-Ta? In Jomon times as described in the pages of the Hotsuma Tsutae, the word Hi was a fundamental symbol. Many, many place names contain the leading syllable, Hi. Also, as a kototama spirit of sound, Hi means Sun, Fire, One, Day, a very powerful word. As for Ta, it could be one of the eight Kunisatsuchi, the first Takamimusubi who founded the Hitakami dynasty of the northeast. Even the place name Hitakami begins with Hi. In this case, it represents viewing (mi) the sun (Hi) standing high (taka) in the sky. Ta to the Japanese people even today means the rice paddy. A document even older than the Hotsuma Tsutae is the Takenouchi, and the latter also mentions Hida no Kuni. 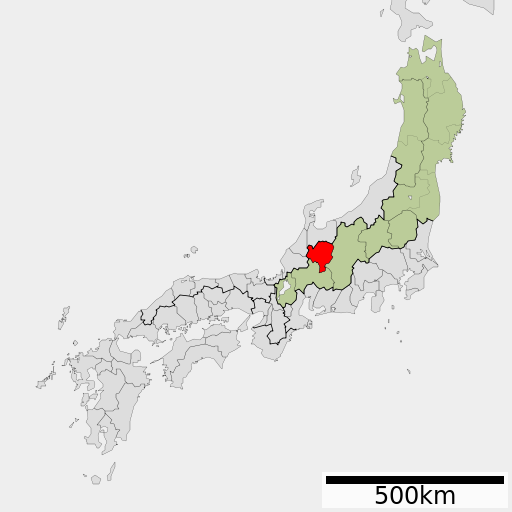 Hida-no-kuni was a province in old Japan and a part of the Tousando (Eastern Mountain Circuit). Gifu, Gifu-ken, 岐阜県, is a prefecture in central Honshu. Most, 80%, of its land is forested. The prefecture runs from the mountains of Hida in the north, to the Nobi Plains downstream. The Hida mountains dominate. The capitol is the city of Gifu. Hida Mountains are called Hida Sanmyaku, 飛騨山脈 . They form the northern Japanese Alps on the border of Nagano-ken with Takayama in Gifu-ken. The western part of the Hida mountains are called Tateyama Renpo, the Tateyama Peaks. The eastern part is known as Ushiro Tateyama Renpo, the Back Tateyama Peaks. In the south is Yari-gatake, Mt. 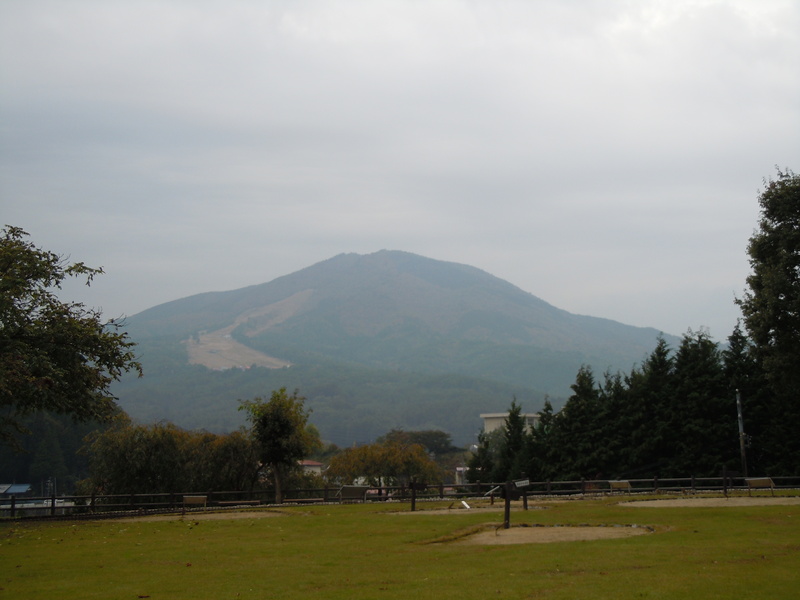 Yari (spear), one of the 100 famous Japanese mountains. Takayama (高山市 Takayama-shi) is a city located in Gifu. Takayama [also known as Hida-Takayama] was settled as far back as the Jōmon period. Takayama is best known for its inhabitants’ expertise in carpentry. Carpenters from Takayama worked on the Imperial Palace in Kyoto and on many of the temples in Kyoto and Nara. The high altitude and separation from other areas of Japan kept the area fairly isolated, allowing Takayama to develop its own culture over about a 300-year period. Gero (下呂市 Gero-shi) is a city in Gifu-ken. The city is famous for its hot springs. The Hida River runs throughout the city. The city was established on March 1, 2004 by the merger of several towns including Kanayama. Takenouchi Documents say Our Ancestors Came from Hidama. (from Takenouchi Documents by Kosaka Wado) Long ago, our ancestors came from Hidama in outer space. Hidama may be the name of a star system or planet. ‘Hidama’ = ‘hi’ ‘tama’ = ball of fire, thus the dictionary terms are falling star, fireball. It is said that Hidama on Earth is Hida in Gifu. The ancestors landed on Earth at Mt Kugano and Kuraiyama. Kugano is now part of Takayama-shi. ‘Kurai’ means ‘crown’. Ogasawara on Takenouchi Documents. Amasakaru-hinimukaitsu-hime-sumeramikoto, better known as Amaterasu, was beautiful, wise, spiritual, a sorceress. Her palace was in Amakoshine-nakatsukuni, which was later called Echu province and is now Toyama-ken. She ‘went down along the River Jintsu from Hitama-kuni (Hida province) with her brothers Susanowo and Tsukiyomi.’ Note that Ogasawara refers to Hida province as Hitama-kuni rather than Hita-kuni. of Takayama and Gero. Kuraiyama separates the watersheds of the northern and southern portions of the Hida region. The Jinzū River flows to the north and the Hida River flows to the south. Note: the division of a river into two rivers is called ‘bunsui’ in Japanese. Minashi Shrine. The full name is 飛騨一宮水無神社 Hida Ichinomiya Minashi Shrine, as it was once 一宮 ichinomiya, the main shrine, of Hida Province. ‘Minashi’ (水無) is short for ‘mizu-nashi’ meaning no water, since it is a place of bunsui where the water divides. Minashi Shrine is located in Takayama city near Kuraiyama, which is its shintaizan, sacred mountain of worship. Hoba-zushi. 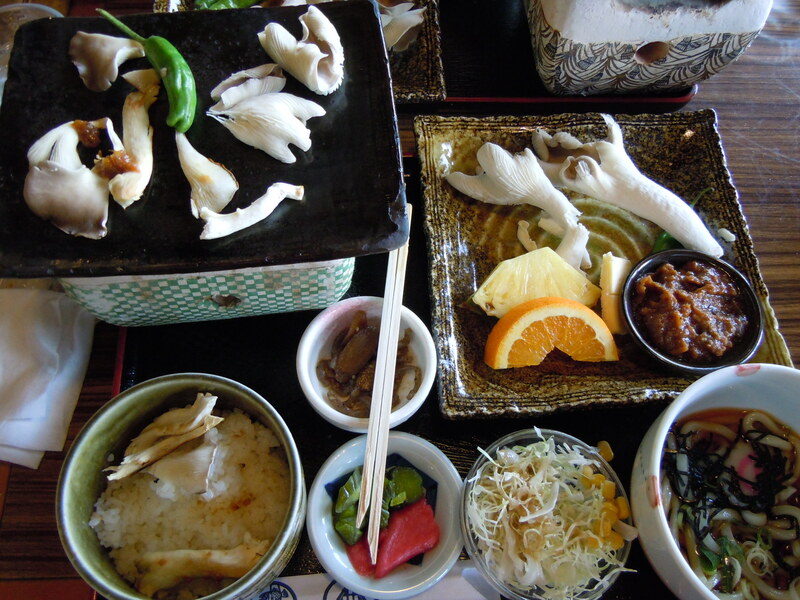 Hoba-zushi is a local specialty. It is sushi wrapped in a large hoba leaf. The hoba leaf is used as a plate for cooking over a flame. It will not burn until all the food has been eaten, at which time one turns off the flame. This entry was posted in Uncategorized and tagged Hida, Kuraiyama on 2013/06/23 by Okunomichi. This article is based on a study of the book, Forgotten Worlds by Michio Kushi (One Peaceful World Press, 1992). In this slim book, macrobiotic pioneer Michio Kushio discusses the need for understanding the order of the universe in his unique and intriguing manner. The universe is our outer body, he says, and our inner body is our physical body which is created from air, vibrations, and the electromagnetic field. He claims that the ancient world exists in our memory, and accessing this memory can be enhanced through returning to the diet of our ancestors, namely whole grains and vegetables. Galactic Cycles. Our solar system revolves around the center of our galaxy over the course of approximately 200 million years (230 million years, NASA estimate) with a 12-season cycle. Human history began during galactic winter when the solar system expanded. Earth Changes. The earth undergoes physical changes over the course of time, such as polar axis shifts and the effects of the precessional cycle. Numerous axis shifts have occurred since earth was formed and they have had dramatic consequences. As for the 25,800-year precessional cycle, it was called the “Great Year” by the classical Greeks. When Vega was our north star, there were more stars above the north pole, and earth received more energy. Those were days of paradise on earth, and they ended around 12 to 13 thousand years ago. Polaris is our current north star, and it will lose this position in 2102. Earth Energy. When there were many stars over the north pole, they sent great amounts of radiation which charged and highly activated the earth’s meridians. Plants were highly energized, and human brains were more fully utilized. Ancient people were concerned with the flow of ki. They knew that the best places to grow crops were in the fields next to mountains. Mountains were created and charged by earth’s expanding force. Ancients placed megaliths on mountain tops to divert earth energy down to the valleys where people lived and grew their crops. Stones were deliberately set upright on tops of mountains to generate a very strong charge. The vertical stones were charged by the sun, the stars, and the rest of the universe. Stone circles, man-made mountains, and pyramids were constructed for the management of energy. Shrines as Observatories. Shrines functioned as observatories to understand the order of the universe. The ancient “three sacred treasures” are said to be the sword, the mirror, and the necklace. The “sword” is a long cross made of a bronze alloy. It is actually a measuring instrument for sighting the sun and measuring its shadow for the purpose of telling the time and the seasons. The round “mirror” reflected light for making observations, and a tori made a frame for those observations. The “necklace” is a string of 365 beads with 8 special shapes marking the 8 seasons of the year (the solstices, equinoxes, and times in between). A festival of the Milky Way was observed on the seventh day of the seventh month each year, and it continues even today. One World. During the 10 thousand year period from 22 to 12 thousand years ago, our ancestors lived in a one world. Some of our ancestors had developed on earth, others came from another planet, and the technology of the time included flying machines. There have been two previous one worlds. During the second period there were many observatories that examined the heavens. This world ended 12,000 years ago. Two continents in the Pacific sank after the pole shift, and it became very cold. A dark period came, and it peaked 6,000 years ago. Even during the dark days, there were one-world civilizations in Western China, Upper Egypt, Sumeria, Vedanta in the Himalayas, and there were the Pre-Celtics, the Incas, and the Maya. However, the image of god – i.e., the infinite universe – became idolized and political power became the norm. Still, there were prophets who remembered the one world. Now humans are turning to a new, a third, one world. In the new one world, we will have government without power. Instead, our leaders will be our elders, and those of spiritual and philosophical wisdom. “Government” will not control people; it will instead provide information and education and assure a constant supply of basic foods to all the people and free of charge. The educational teachings will be about the natural order of the universe rather than the acquisition of data as we currently do. The teachings will be like learning about the Tao of life. To prepare for the coming One World, Kushi recommends the following actions. Understand the order of the universe. Appreciate others, nature, and the universe. Give others the gift of yourself, not money. See the unseen, spiritual world. His message to us is clear and hopeful: Dream the true dream. It will come to pass. This entry was posted in Uncategorized and tagged galactic cycles, Michio Kushi, universe on 2013/05/02 by Okunomichi.